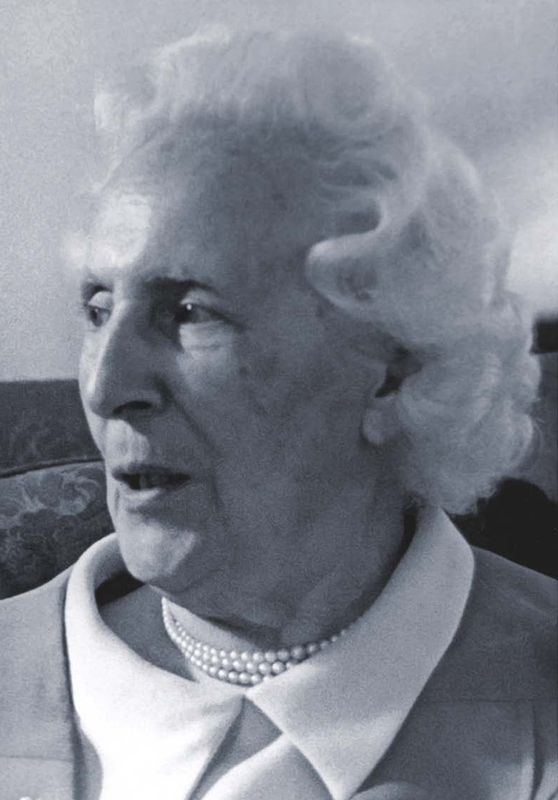 Mme de Salzmann (1889 – 1990) was one of Gurdjieff's close disciples, and other disciples perceived her as his assistant. She was responsible for transmitting his movements and his teaching through the Gurdjieff Foundation in New York and the Gurdjieff Institute in Paris. Her career begins in the Geneva Conservatory, where she studies the piano, musical composition and orchestral conduction. In 1912, she becomes a student of Emile Jaques-Dalcroze in Germany, where she teaches dance and rhythmic movements. She meets her husband Alexandre de Salzmann and they have a daughter, Boussique. The Russian revolution forces them to move to Tiflis, Georgia, where she continues teaching. In 1919, she meets G. I. Gurdjieff through Thomas de Hartmann. This is the beginning of a work relation that will last for nearly 30 years, until his death. Mme de Salzmann created the Gurdjieff Foundation and the Gurdjieff Society Ltd. She continues to propagate the teaching an the movements until her death in 1990, at the age of 101. The Movements are a way of living the idea of Presence. The wish to be conscious is the wish to be. It can only be understood in silence.